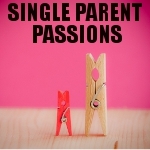 Simple Tips for Single Parents is a non-fiction spiritual journey based on my life experiences: dealing with abuse as child, teenager, and domestic violence as an adult. The story depicts struggles and hardships as a single parent from stigmas of raising a child alone, having limited financial resources, approaching new relationships and more. However, during my life I learned that despite of any and/ or all that I have endured I owe my children my very best. I learned by the strength and belief in Jesus Christ that I can overcome and endure all things and still end gain victory. Despite of it all, I have raised healthy children. I have been able to return to school and obtain a degree. Even with limited funds I have provided a good home for my family.